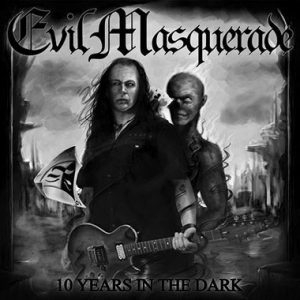 Evil Masquerade was formed in Copenhagen, Denmark 2003 by Swedish born guitarist Henrik Flyman. 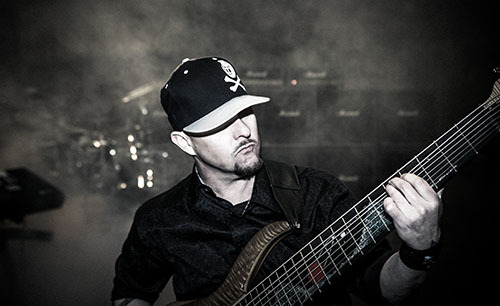 He wanted to try out a few new songs with a lineup of local musicians whose backgrounds spanned from melodic hard rock to death metal. The outcome of this unorthodox fusion was a blend of the iconic metal bands from the 80’s and something indefinable. 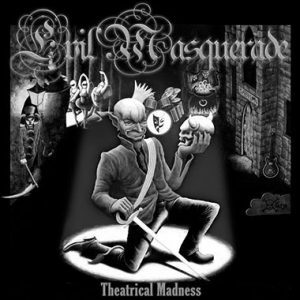 No other band sounded like Evil Masquerade. 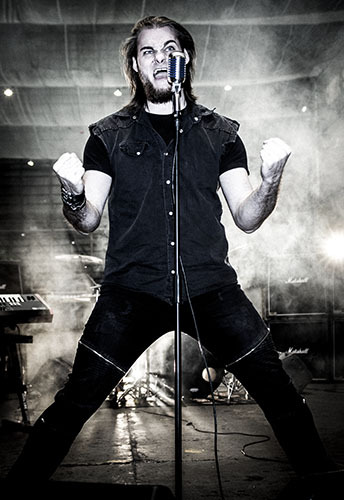 Henrik was determined to release a full album even though the funding wasn’t even close to cover the production costs. 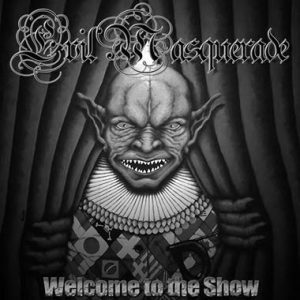 When the recordings were finally done they soon caught the attention of a few record labels and the debut album ‘Welcome to the Show’ was released 2004. It created a small buzz among hard rocking communities around the world who either hated it or loved it. But to the broader masses the band remained a secret. Musicians came and went as several more albums were released, but something was holding them back. 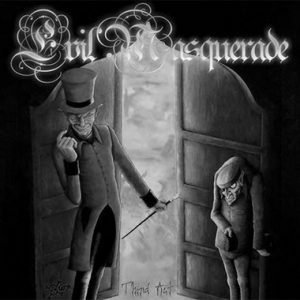 The primarily reason seemed to be that Evil Masquerade was too different from their record labels’ other bands and that made them very unsafe to invest in. 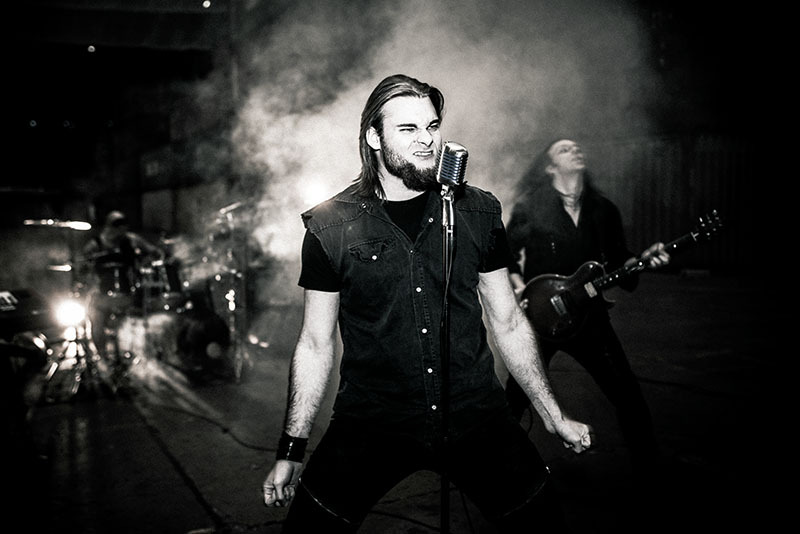 Henrik felt great discomfort in the situation so 2011 he finally decided to break free from all record contracts and take full control with their own label Dark Minstrel Music. 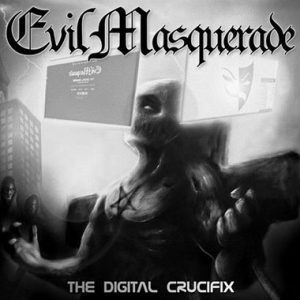 Evil Masquerade’s tireless spirit didn’t go unnoticed and the word began to spread. The band have successfully managed to preserve and develop their trademark sound throughout the years. 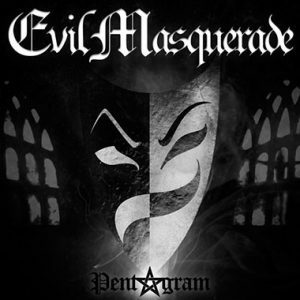 The current lineup includes bass player Thor Jeppesen who joined 2005 before the release show of Evil Masquerade’s second album ‘Theatrical Madness’ and keyboardist Artur Meinild joined 2011 just before the ‘Pentagram’ album was released. This trinity ground core of musicians have proven to be a solid foundation. 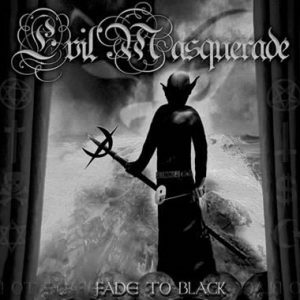 Evil Masquerade are well-known for their excellent vocalists. 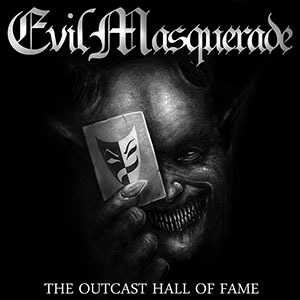 With the album ‘The Outcast Hall Of Fame’ (May 19, 2016) the band took this reputation to the next level. 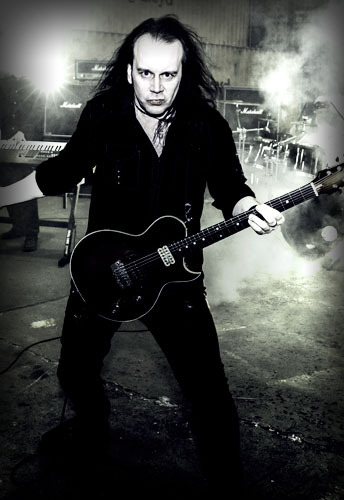 We saw the return of Apollo Papathanasio (2006 – 2014) – joined by Mats Levén (Candlemass), Rick Altzi (Masterplan), Nicklas Sonne (Defecto) and on backing vocals Yenz Leonhardt (Lacrimosa, Stormwarrior). 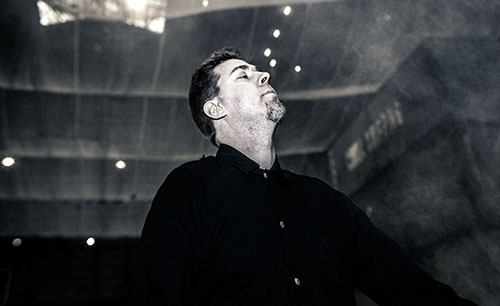 Nicklas Sonne was announced as the band’s live singer at the first show following the album release. A month later he became a permanent member of Evil Masquerade. Managed by Dark Minstrel Music. Awards: JPF Music Award (US) for Best Songwriting 2009.